Ah ... love Bill Walton! Starters taking the floor. Time for some rivalry hoops! 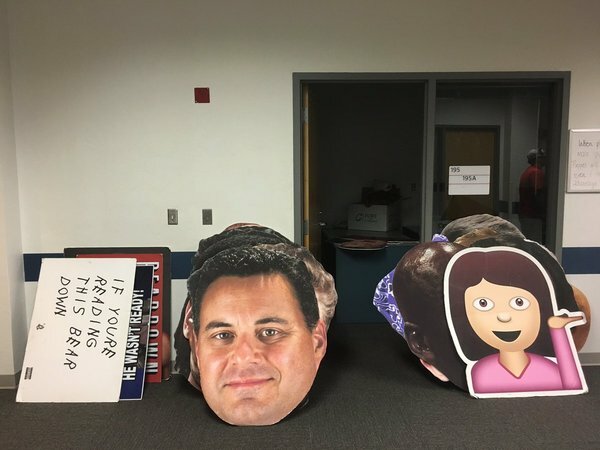 Bobby Hurley gets some predictable boos upon entering McKale, then has what appeared to be a warm handshake with Sean Miller. Hoodies on the ASU warmups. Did not know it got cold in hell. National anthem about to take place then we will be underway shortly after that. Bobby Hurley comes out to a chorus of boos. SO many boos for Hurley. It's quite clear the students are not too fond of Bobby Hurley. 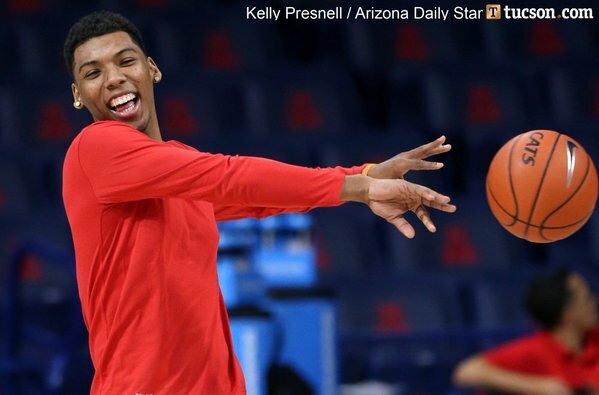 Students in the ZonaZoo chanting "BOBBY! BOBBY!" as ASU coach Bobby Hurley came out of the tunnel. hate to say it, but I agree with Rx. If Trier has not played by now, let him go. The Cats are coming out of the tunnel to thunderous cheers from the ZonaZoo. ASU's warm ups have hoods. That's, well, that's somethin. Couldn't agree more with my coworker Zack. You can TOTALLY feel a different energy in here with the students being back. 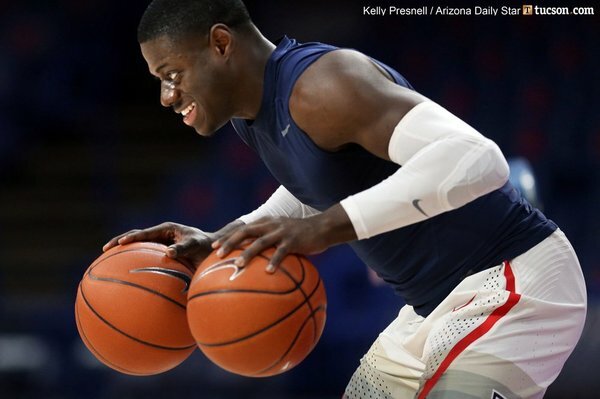 According to the countdown here in McKale Center we've got just a bit over 7 minutes until we get underway. Lauri Markkanen is currently taking jump-shots from half-court and making them. HUH?! The students are making sure their presence is felt in their first game back from break. 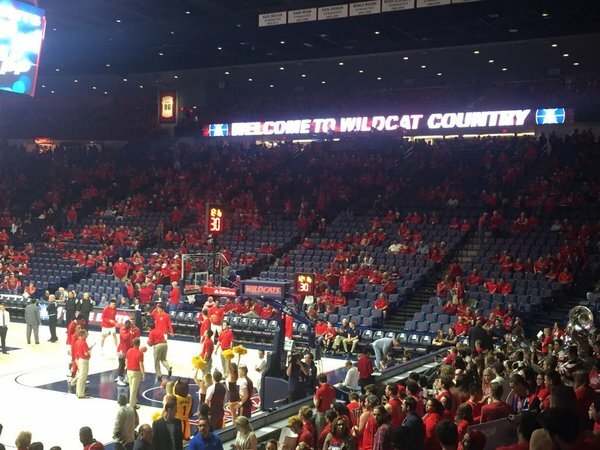 ASU has received nothing but loud boos and screams from the ZonaZoo thus far tonight. 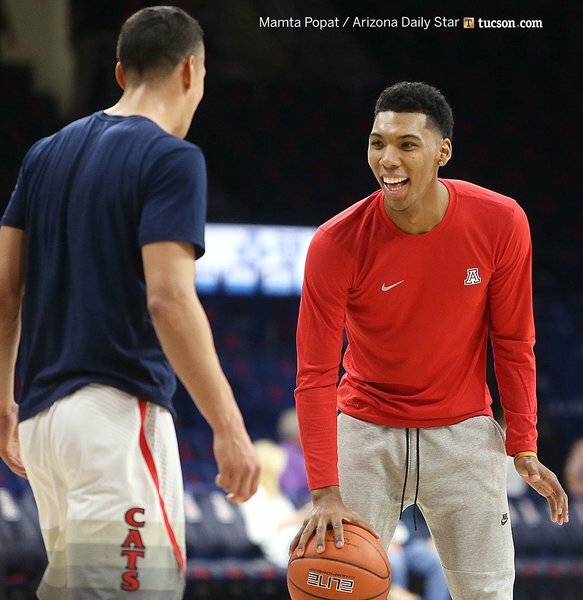 Bill Walton and Sean Miller taped a segment breaking down video of Kadeem Allen that ESPN2 is scheduled to show at different points tonight. Two heavyweights on the whistles tonight: Randy McCall and Dave Hall. Like the old days with Irv Brown and Rudy Marich. Hello my fellow fan-chat friends! I apologize I was away from all of you during Saturday's game but barring any unforeseen circumstances, I shouldn't miss another game for the rest of the season! That said, let's get our final score predictions going for tonight's game. My guess: Arizona 79, ASU 65. What do you all think the final score will be? Let me know! Glad to have you all here. Parker Jackson-Cartwright is going to come off the bench again. 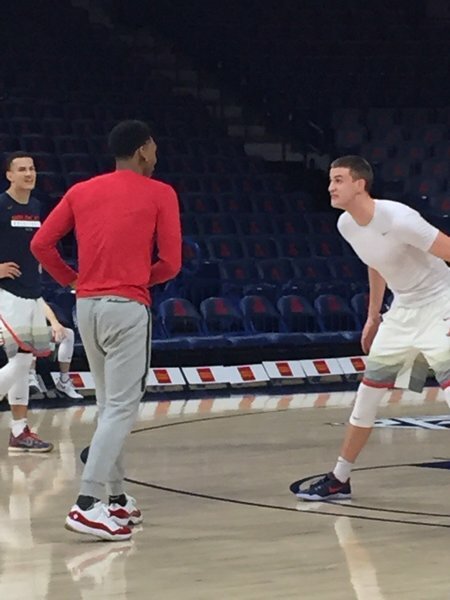 Same starters for #arizonawildcats . ASU junior reserve forward Maurice O'Field is not with the team tonight. School says personal reasons. Asu didn't have much depth to start. Had to ask San Diego legend Bill Walton about Chargers. While a fan, he said he wasn't bummed by the news. "It's a business," he said.